Socrates is believed to be the first coach, because of Obstetrics. The Socratic Method, also known as the Elenctic Method, is a form of inquiry and discussion among individuals based on asking and answering questions to stimulate critical thinking and illuminate ideas. We use the Socratic Method, in combination with other Life Coaching Techniques, to create an equal cooperation between two sides, through a creative, and at the same time challenging for the thought, procedure which purpose is to empower the individual for the maximization of hers or his personal and professional dynamic. To this we add Acting Techniques. Our Acting Method is based on the fact that Acting is about the Truth, not about pretending to be someone else. Our Actors need to first understand themselves in order to be able to serve the Role. Acting Techniques allow us to give our participants the tools to create the role they want to play in Life. 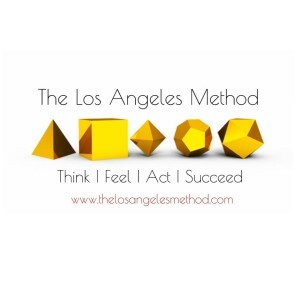 So the procedure we follow at The Los Angeles Method is first to examine what confining convictions, limiting beliefs and fears are not servicing our participants towards the realisation of their goals, reprogram them with easy, safe and fast to use techniques and then create the map, through Acting- Creativity- Truth, that will lead them to living a life of balance, completion and Aristotelian Eudeamonia that they deserve and want.